Hillary Clinton speaks at a rally at Grand Valley State University the day before Election Day. The election is tomorrow, but if you thought the major party candidates were going to take a break, you would be wrong. Michigan has secured its position as a battleground state. 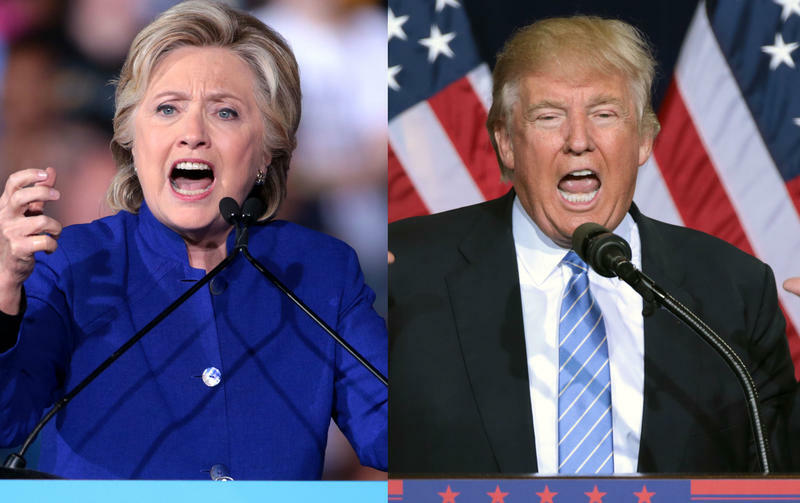 Both major party presidential candidates are stopping in West Michigan in the hours before the polls open. Democratic nominee Hillary Clinton talked jobs and the economy during a rally at Grand Valley State University. But she also focused on bringing the country together after a very divisive election. “But I’ve been saying this for months. To say that we need more of two things right now. We need more love and kindness in America,” said Clinton. Republican nominee Donald Trump is hoping to turn the state red for the first time since 1988. Clinton is clearly trying to prevent that from happening. At the rally, she emphasized her plans for the economy. But she also made her final plea to Michigan voters to get out and vote. “If you believe as I do that America thrives when the middle class thrives then you have to vote tomorrow,” she said. Spectators and supporters lined up outside a Grand Valley University auditorium for a chance to see the Democratic candidate one last time before Election Day. There was a small group of student protestors with large signs supporting Republican candidate Donald Trump on the lawn outside the auditorium. Alexander Johnston is a student at Grand Valley and a Clinton supporter. He shook hands with the protestors before returning to his spot in line. Trump was also in Grand Rapids before the polls opened. His final rally was in downtown Grand Rapids. The world is complex, so why do we let our candidates talk to us like simpletons? One of my favorite movies from last year was The Big Short. It brilliantly explained many of the complex factors that set in motion the collapse of the subprime mortgage market. It also captured the arrogance of the age. But the movie got one thing wrong. It suggested that only a few insiders understood what was really happening, when in fact many professionals and academics knew as early as 2003 that a crash was coming. Could Michigan determine tomorrow’s presidential election? Our conversation with Chad Livengood, political reporter for The Detroit News. 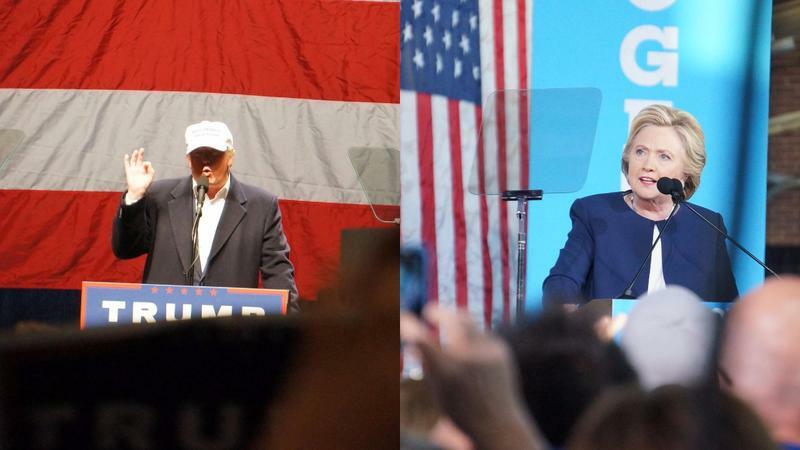 For both Donald Trump and Hillary Clinton, the long and winding campaign road ends in Michigan. Hillary Clinton will be at Grand Valley State in West Michigan this afternoon and Donald Trump, with Governor Mike Pence, will wrap up his campaign with a rally at 11 p.m. tonight in downtown Grand Rapids. 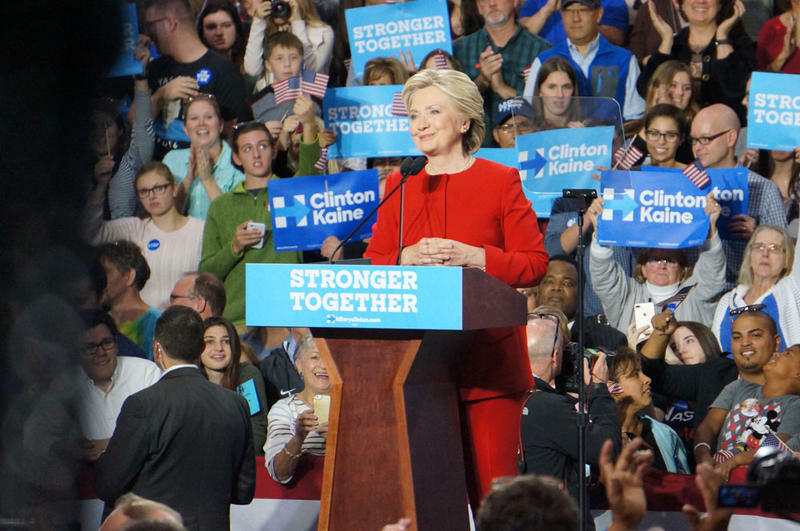 Earlier today, President Obama held a rally for Hillary Clinton in Ann Arbor, Governor Mike Pence campaigned in Traverse City, and Ivanka and Tiffany Trump campaigned in Hudsonville. On Sunday, former President Bill Clinton visited churches in Flint, while Donald Trump held a rally for some 8,000 people in Sterling Heights. Chad Livengood, political reporter for The Detroit News, joined Stateside to help explain what all this attention means. Several protestors expressed their disapproval of Hillary Clinton while President Barack Obama did some last-minute campaigning for her in Ann Arbor today. While thousands of people waited to see Obama speak, cars plastered with signs supporting Donald Trump and Mike Pence drove by. One such car played political ads against Clinton from large speakers. 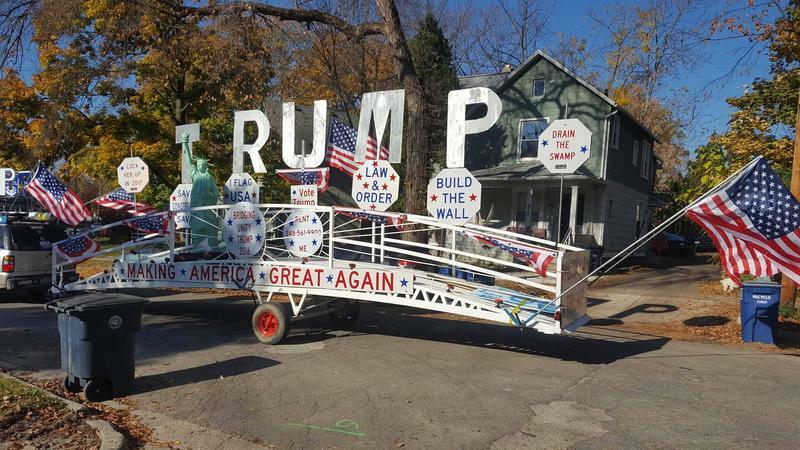 Robert Cortis built a so-called "Unity Bridge" onto a trailer towed by his car to showcase his support for Trump. The U.S. Justice Department will monitor the polls in three Michigan cities tomorrow. The federal monitors will be in Detroit, Dearborn Heights and Hamtramck. The Justice Department’s Civil Rights Division plans to deploy more than 500 personnel to 67 jurisdictions in 28 states. The monitors will be there to enforce federal voting rights laws.